The lights are dimmed, the annual viewing of The Emoji Movie has just ended, and the children are getting ready to lay their spherical, eggy yellow heads down to dream of “Wrapped Present” and “Party Popper.” That’s right: it’s the best day of the year. It’s World Emoji Day. While the only reasonable way to ring in the occasion is announce some new emojis, anyone who’s spent time on the internet can tell you this would not be the case. The hashtagged holiday is essentially designed for Twitter accounts that should, to put it mildly, not be celebrating World Emoji Day to go all in with their social team’s absolute worst ideas. And boy have they ever. First up, those good-natured goofballs over at ... the army. You see, replacing a heavily armed patrol’s real faces with winking eyes and clenched, rictus-set grimaces makes you feel much better about American foreign policy. It also may inspire the real gift of World Emoji Day, which, as we know, is bringing the world together in joy and harmony. Last, but not least, the smell of a marketing opportunity was picked up by another group of professional death-dealers: the widely beloved NRA. Perhaps unsurprisingly, outrage and anger are a common thread in responses sent to all of the above tweets. 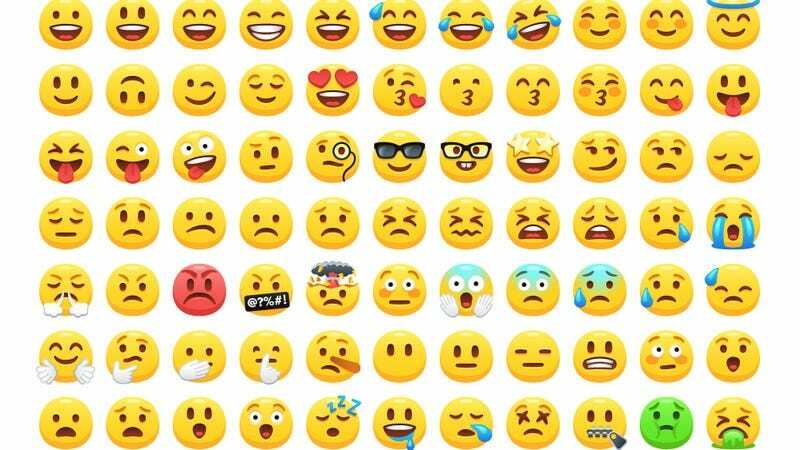 It’s a bit of a shame as today is World Emoji Day—a day in which we’re meant to look beyond national borders at what brings us together as a species. With so much negativity afoot, it’s almost tempting to declare this World Emoji Day a failure altogether. Thankfully, a star often shines even on the darkest of nights, pointing the way to a better destination if we will only follow it. Thank you Dolly, for understanding the spirit of the holidays. A very happy World Emoji Day to you and yours.